- Publisher Six studies on the mission of Jesus, God's Son, based on Matthew's Gospel. Explore how we can follow in Jesus' footsteps. learning from his experiences. Suitable for individual or group use. Ideal for Lent. 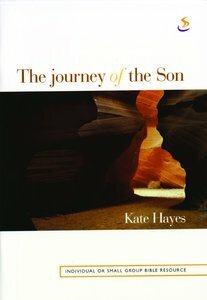 About "The Journey of the Son"
Six studies on the mission of Jesus, God's Son, based on Matthew's Gospel. Explore how we can follow in Jesus' footsteps. learning from his experiences. Suitable for individual or group use. Ideal for Lent. Kate Hayes is a former award-winning TV news reporter and anchor. She writes about her family's adventures on her blog, Adventures in Parenting.Me, which earned her a Scholastic Parent and Child Magazine Parent Blogger Award in 2010. Kate was also named one of the BlogHer Voices of the Year in 2011.